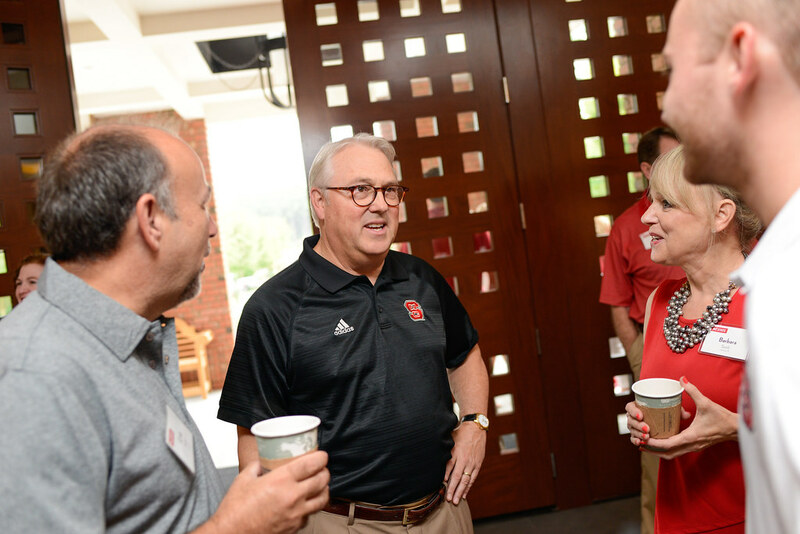 Mike and Beth Holmquist are greeted by Chancellor Woodson as they arrive for breakfast during Parents & Families Weekend. 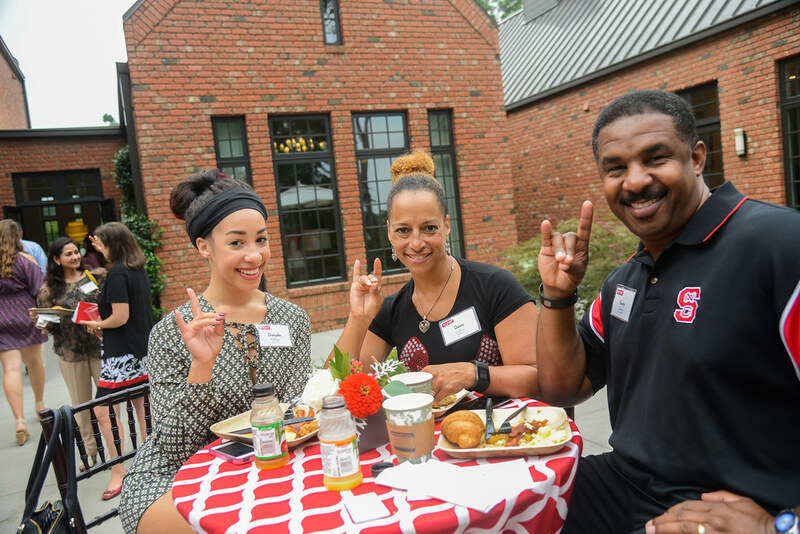 Mike Holmquist knows that sending a child off to college is often stressful for parents. 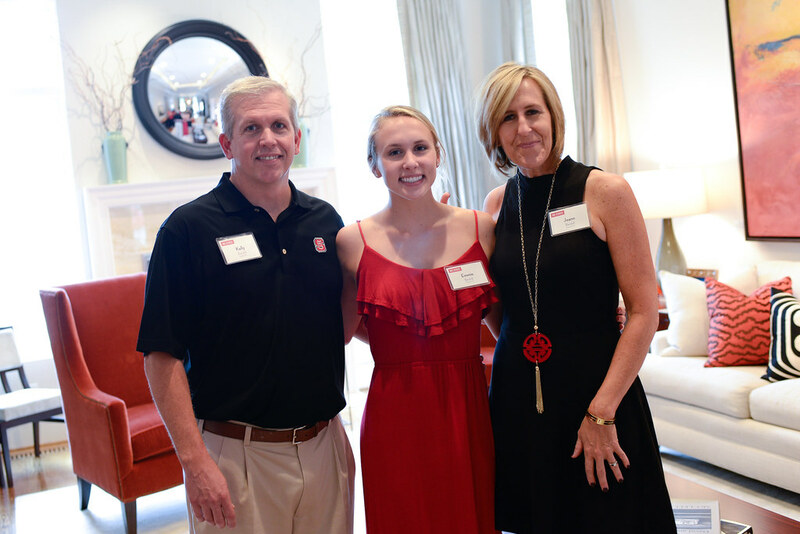 But he also knows his daughter, Peyton, is in good hands at NC State, where she is a junior in the College of Humanities and Social Sciences. 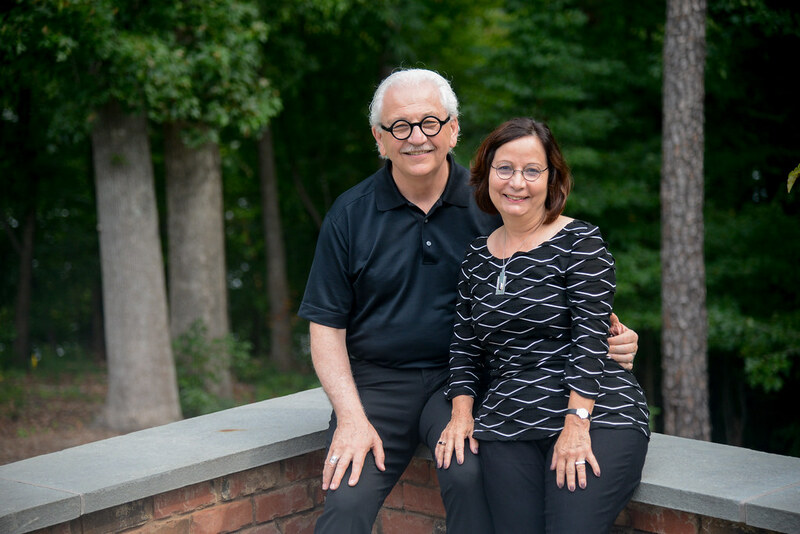 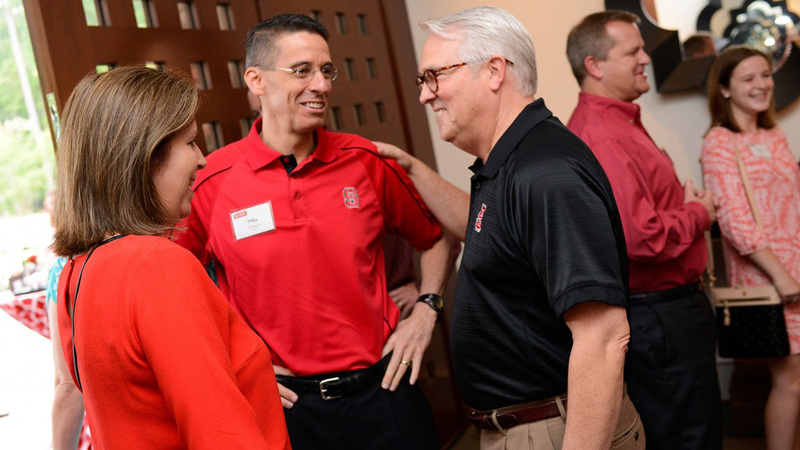 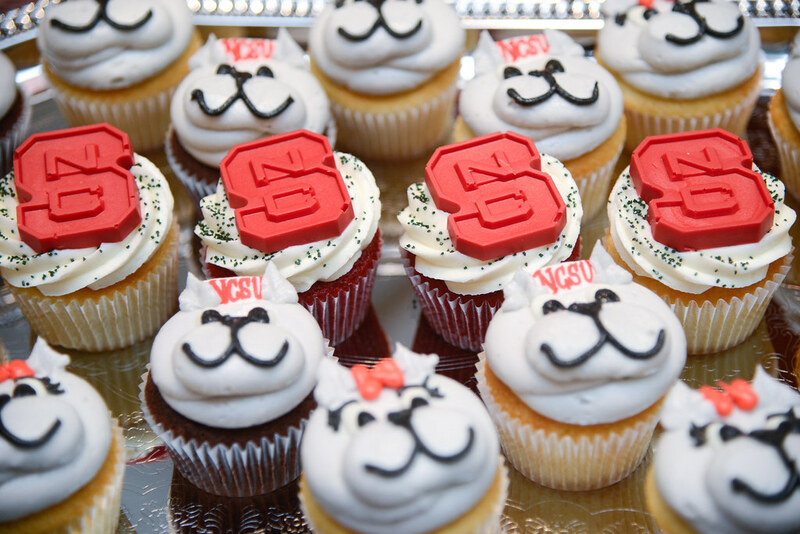 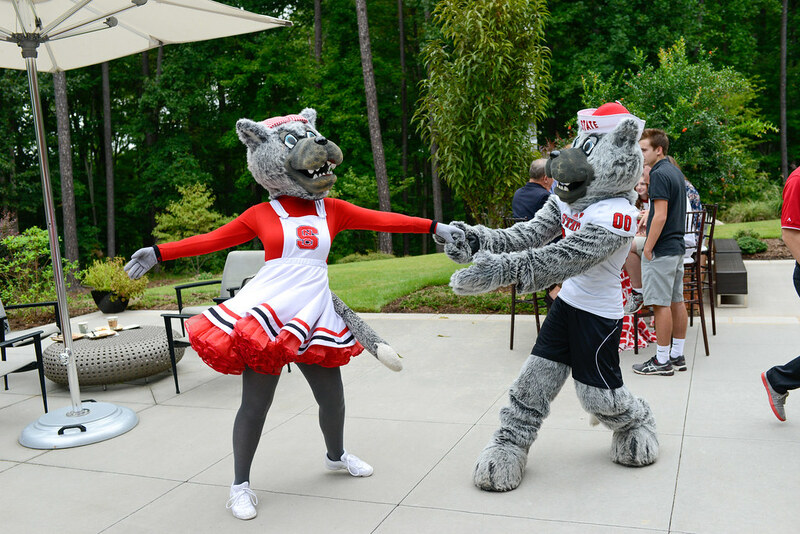 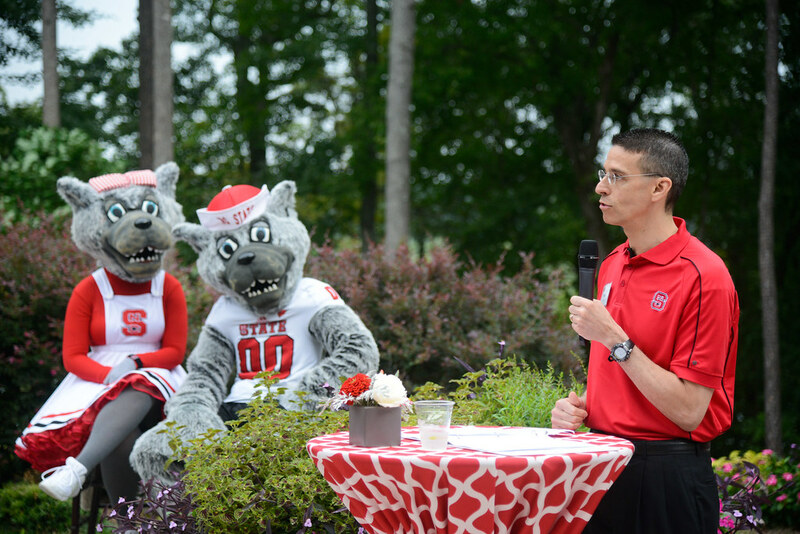 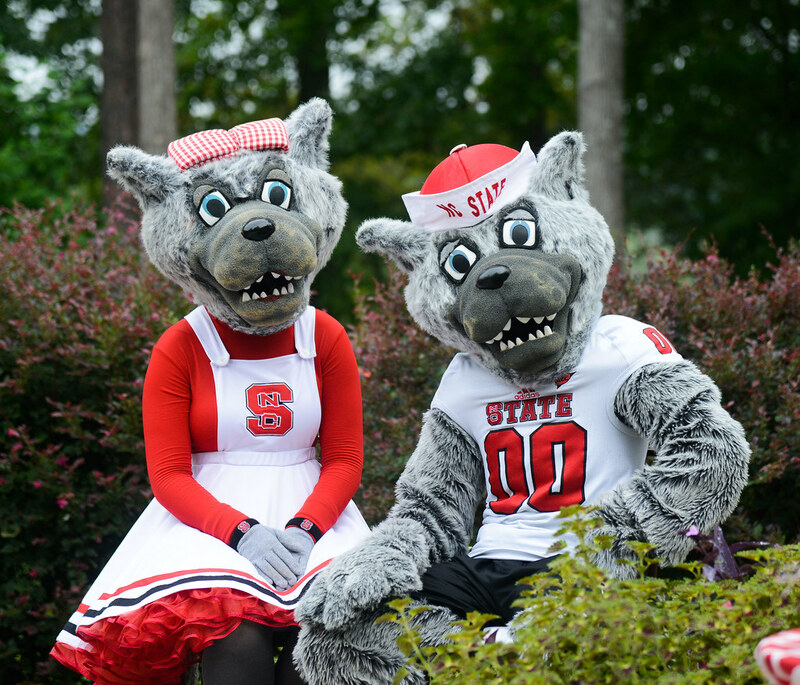 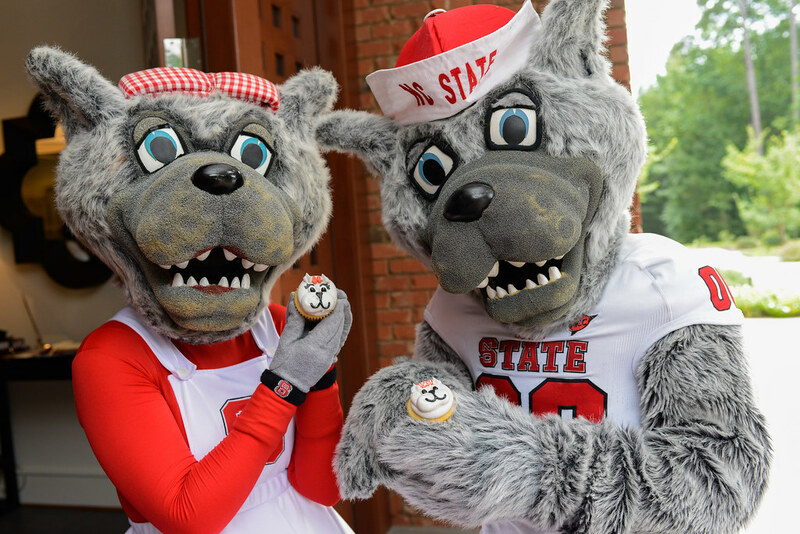 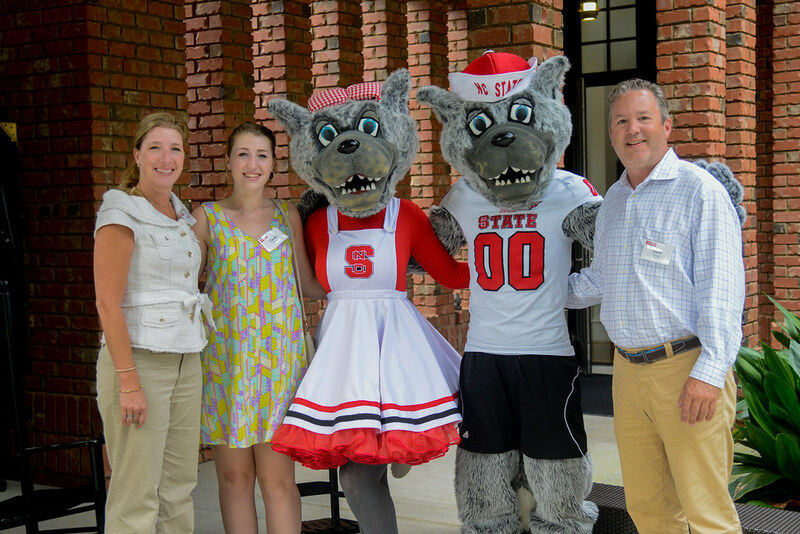 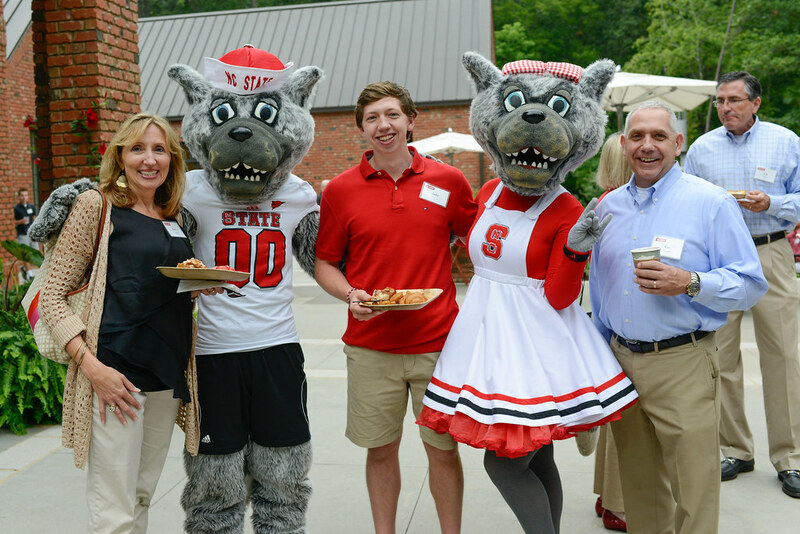 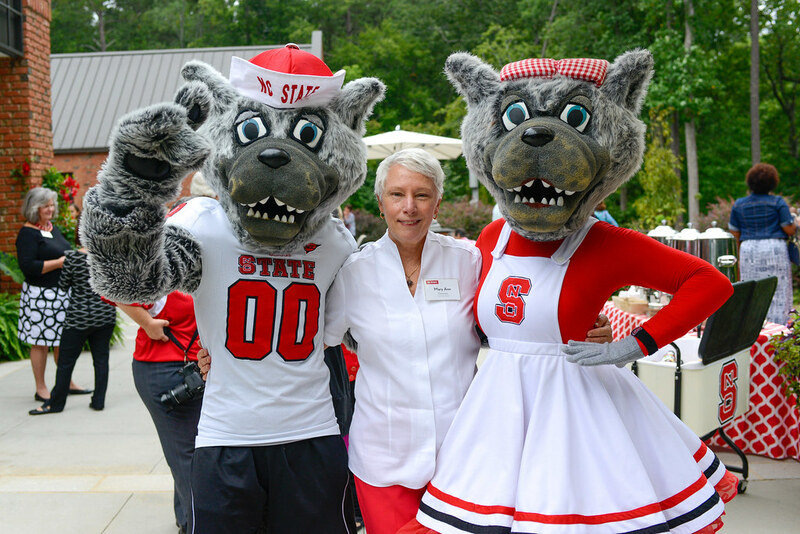 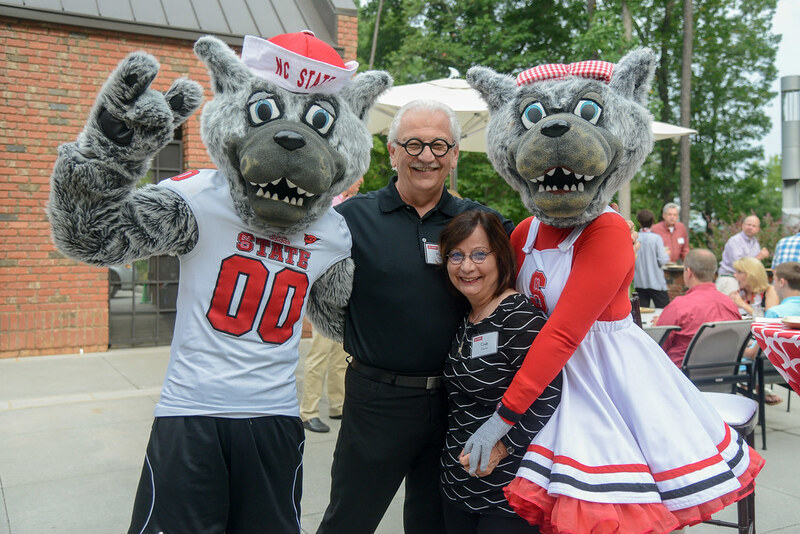 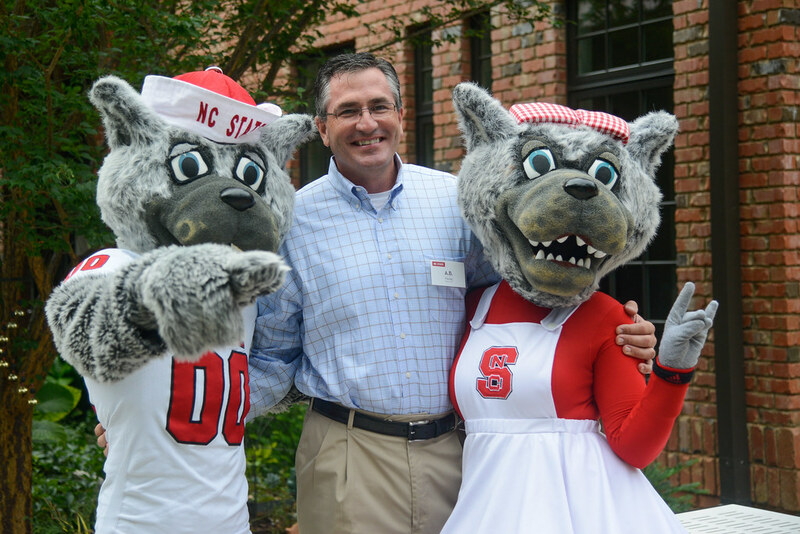 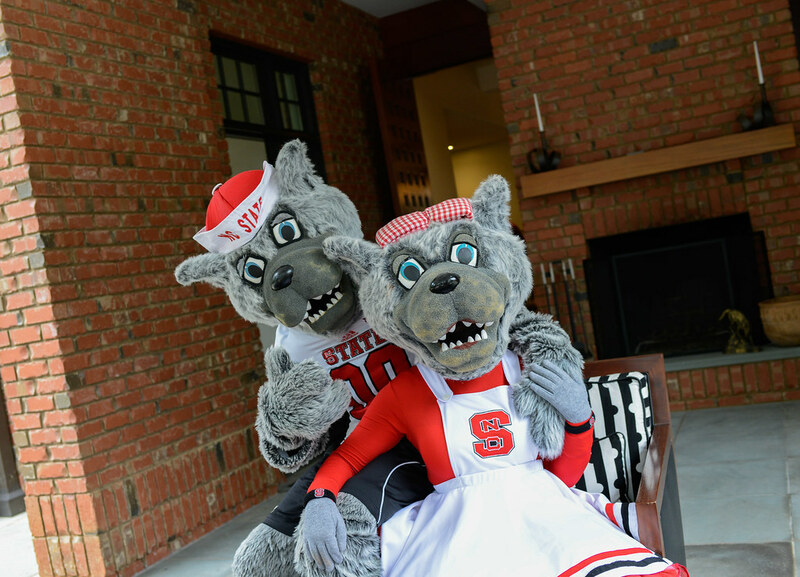 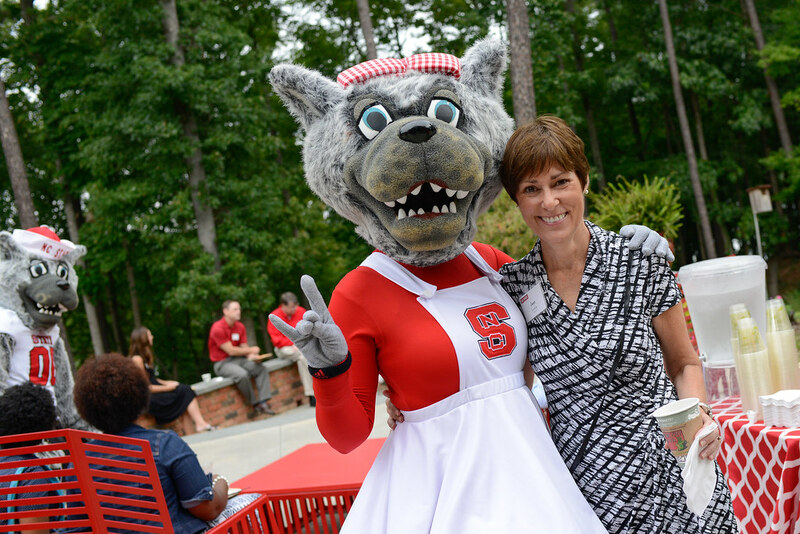 It turns out NC State was also a good fit for Holmquist and his wife, Beth. 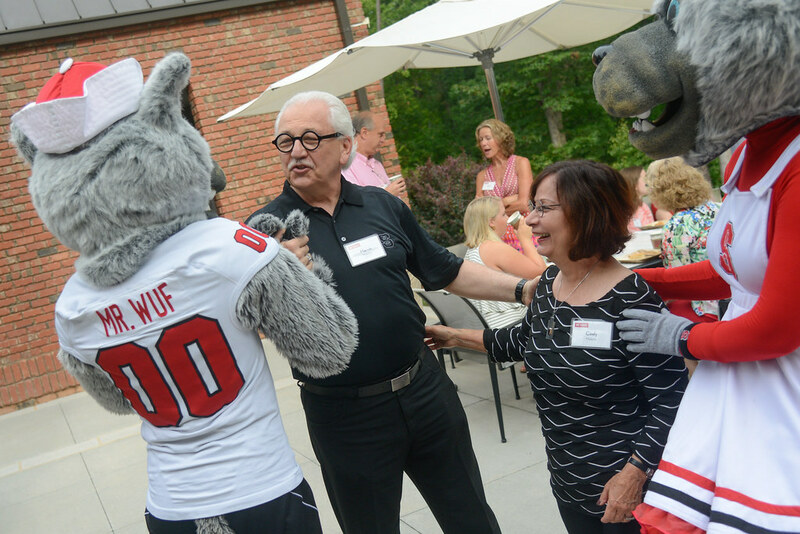 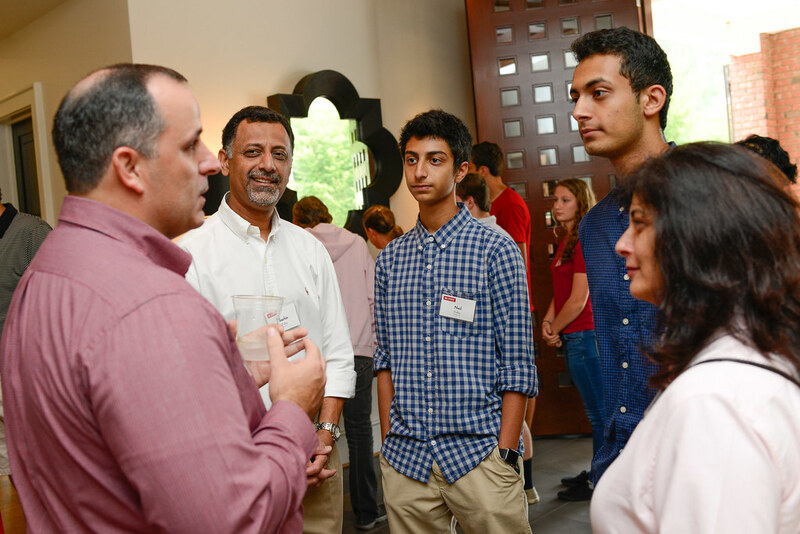 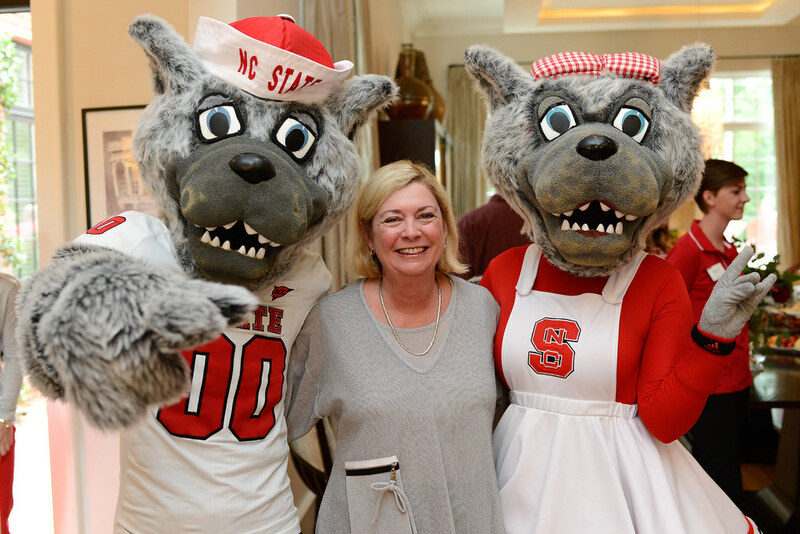 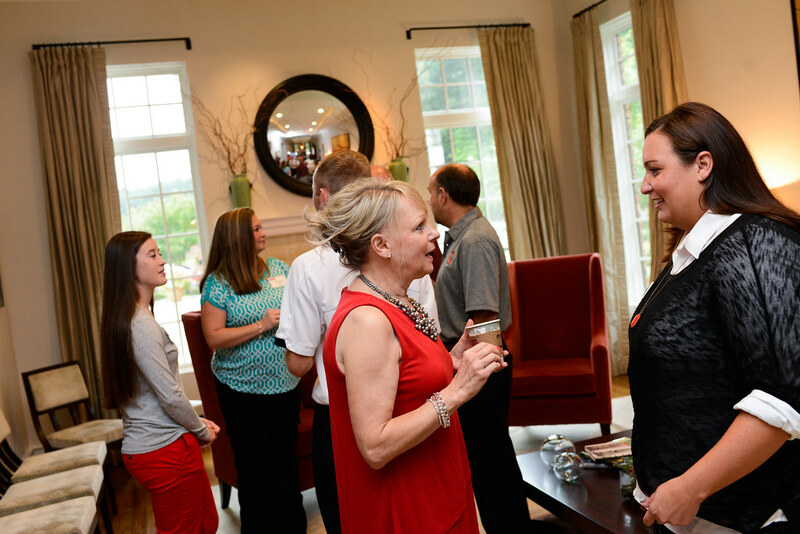 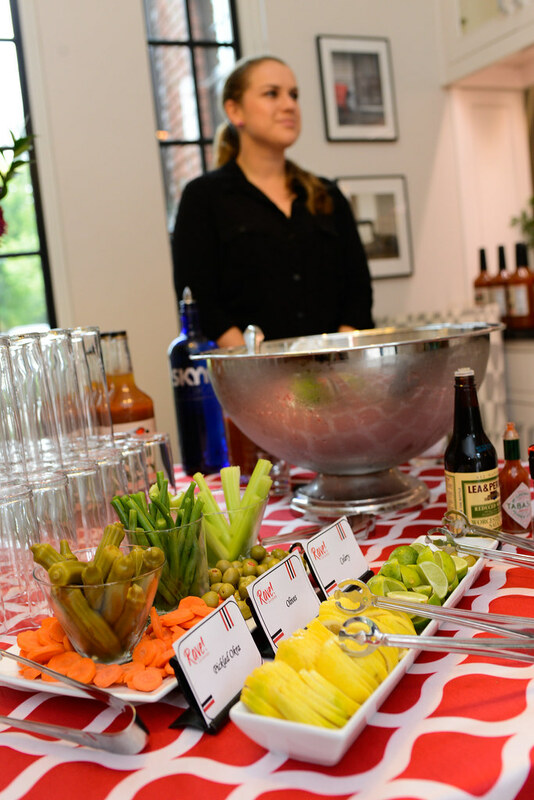 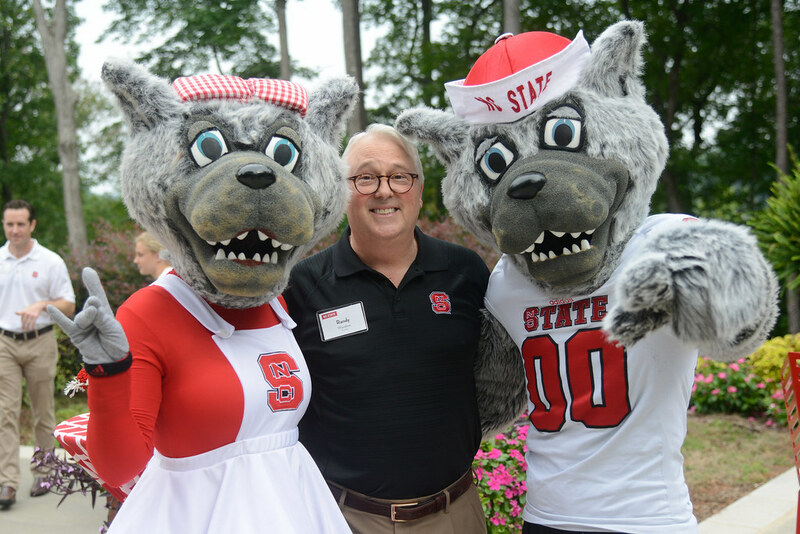 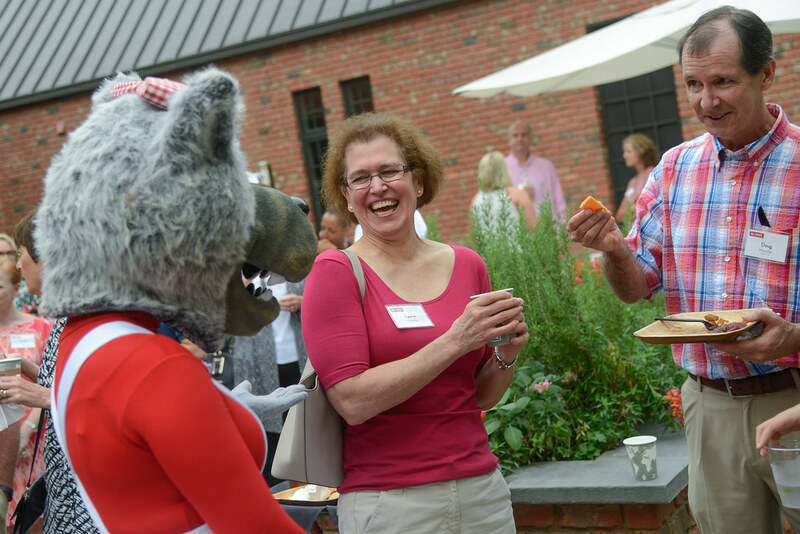 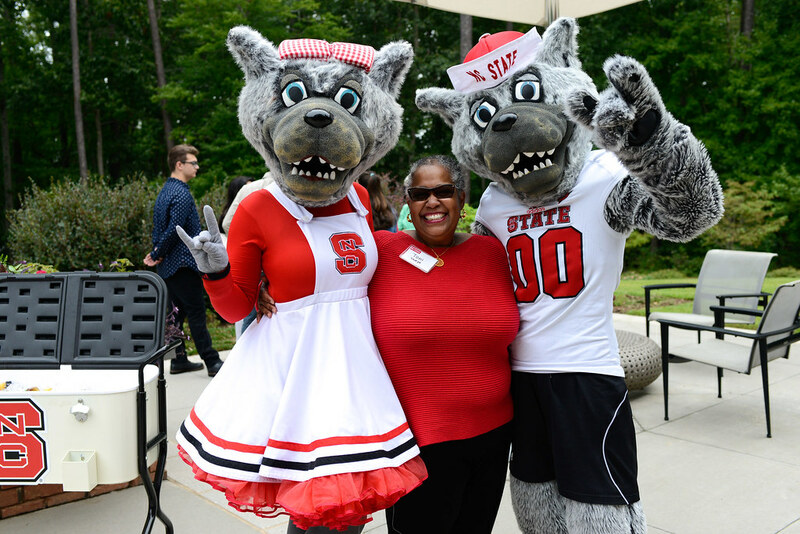 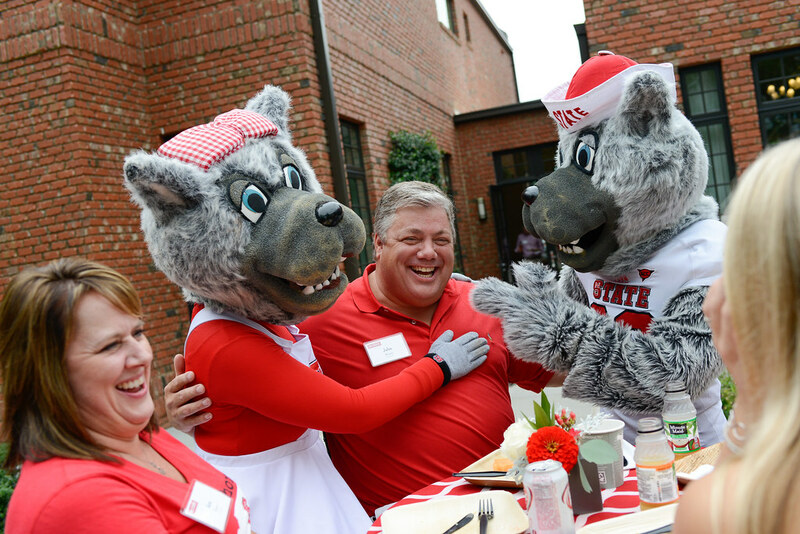 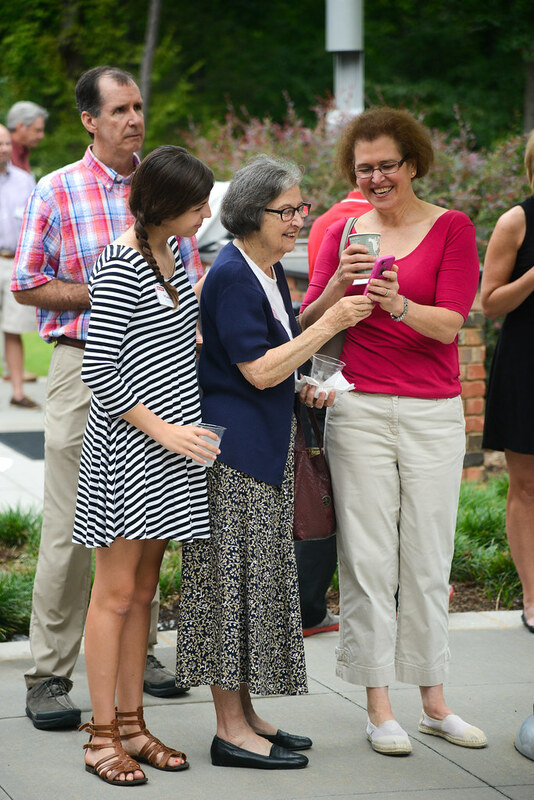 They were among a group of parents and families of NC State students who gathered for a breakfast hosted by Chancellor Randy Woodson and his wife, Susan, at their residence during Parents & Families Weekend. 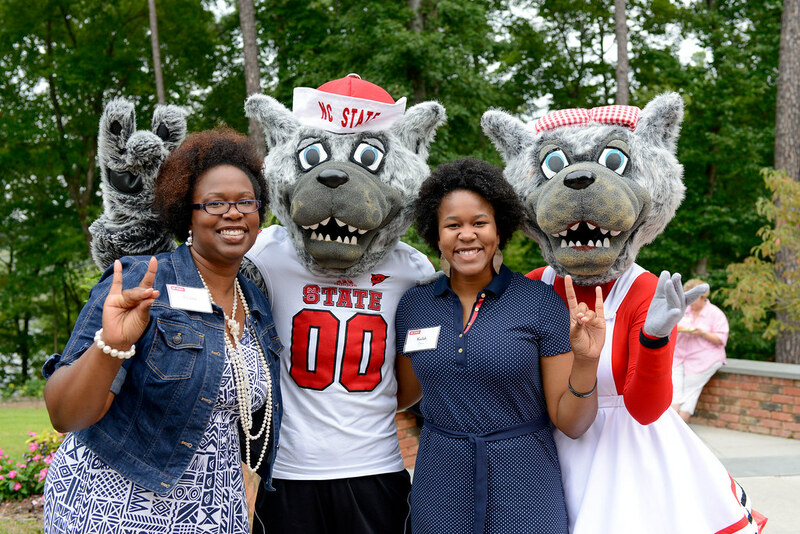 The Holmquists have become very involved at the university since their daughter’s academic career at NC State began. 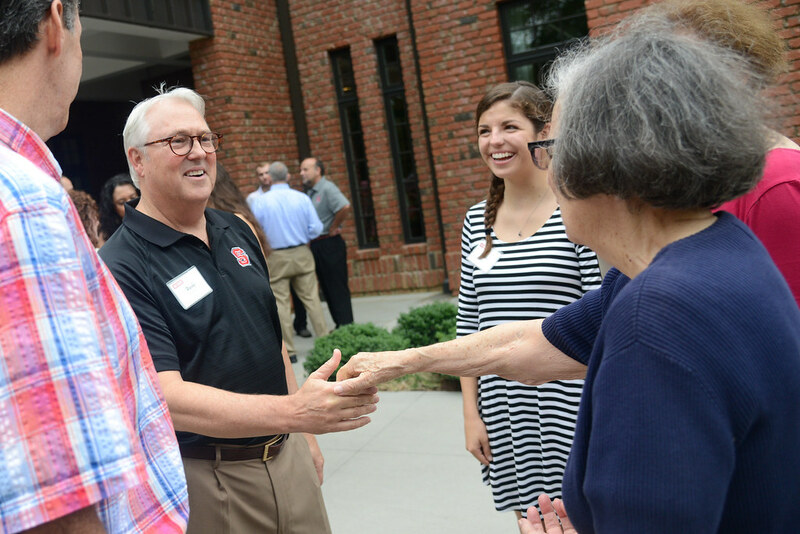 Speaking at the breakfast for parents and families, Mike Holmquist encouraged others — especially parents of freshmen — to become engaged and volunteer on campus. 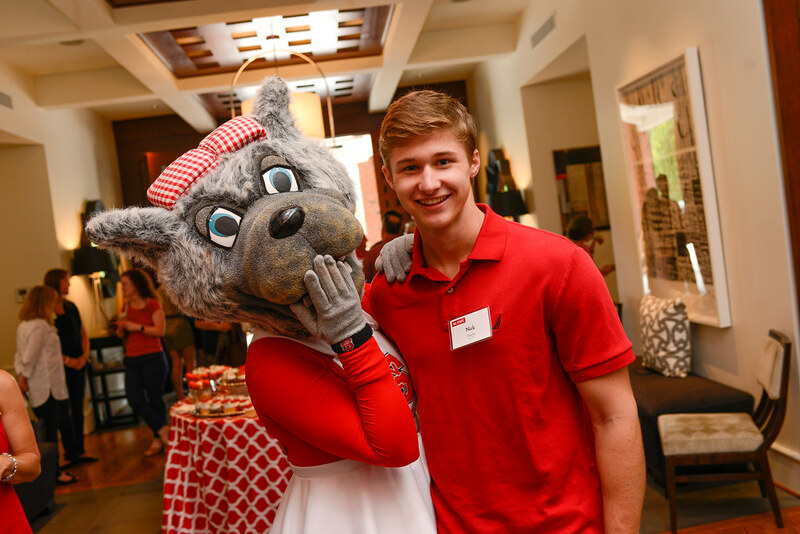 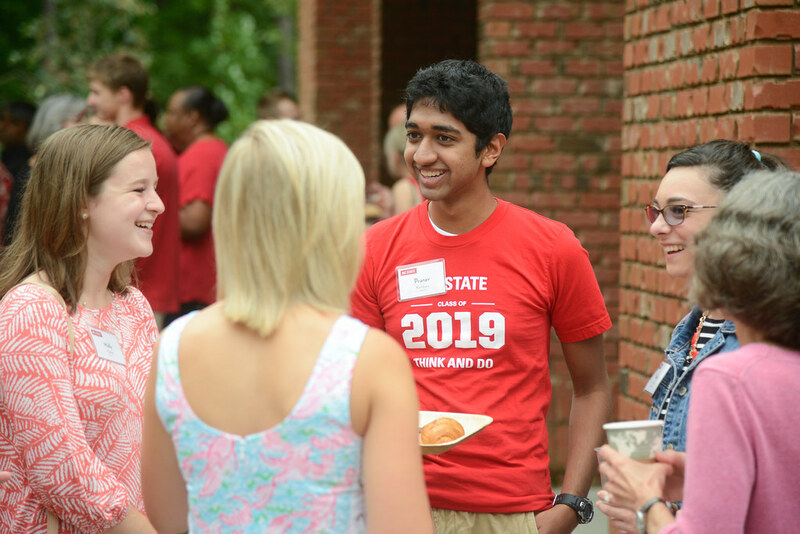 “Becoming involved at NC State is a wonderful way to build your own connections at the place where your child will form many of their fondest memories,” he said. 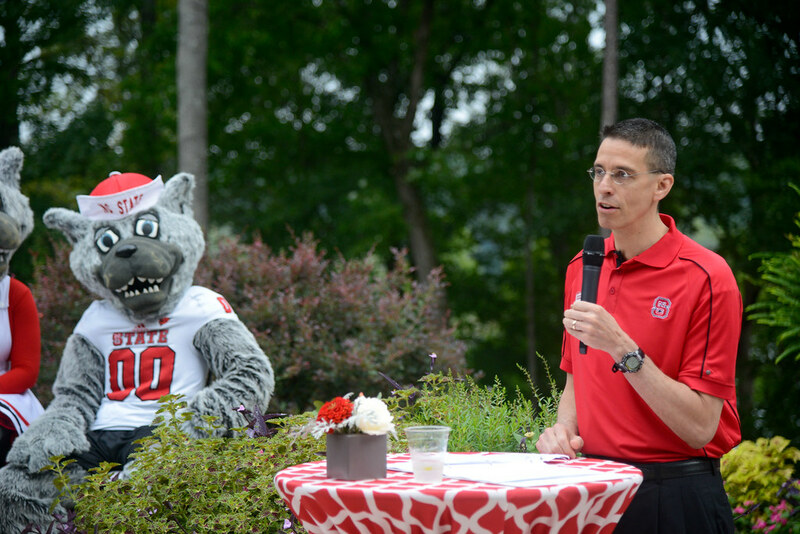 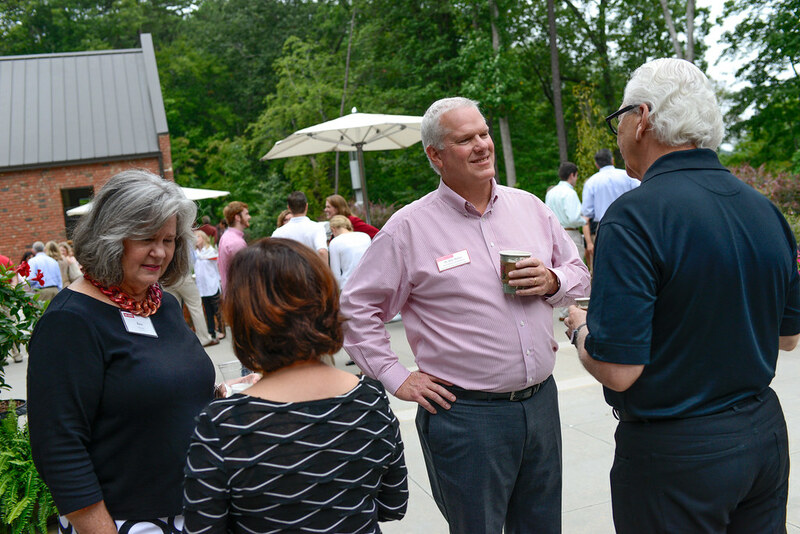 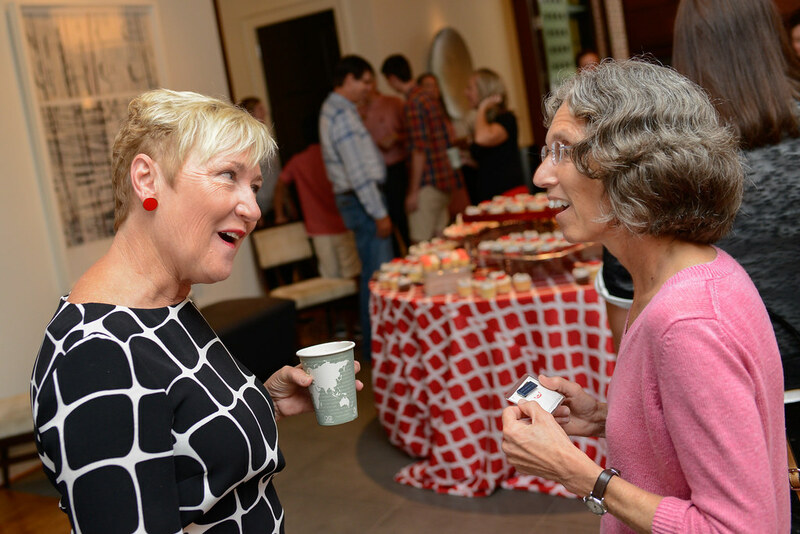 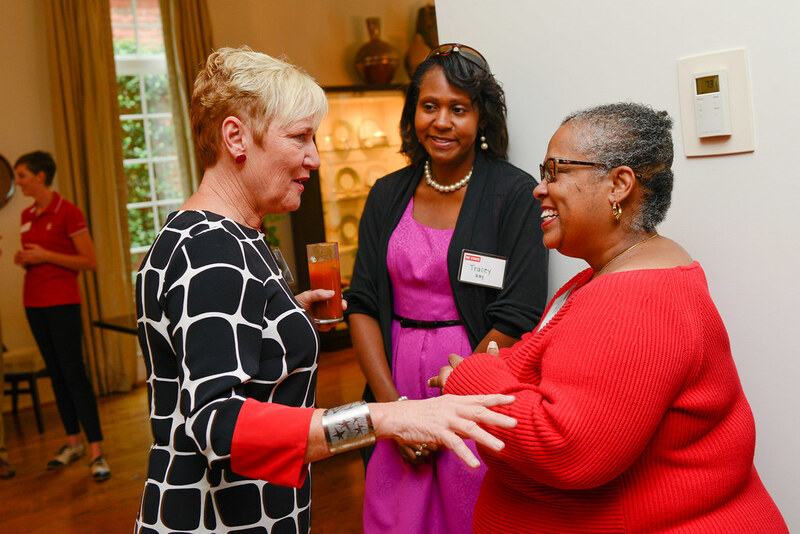 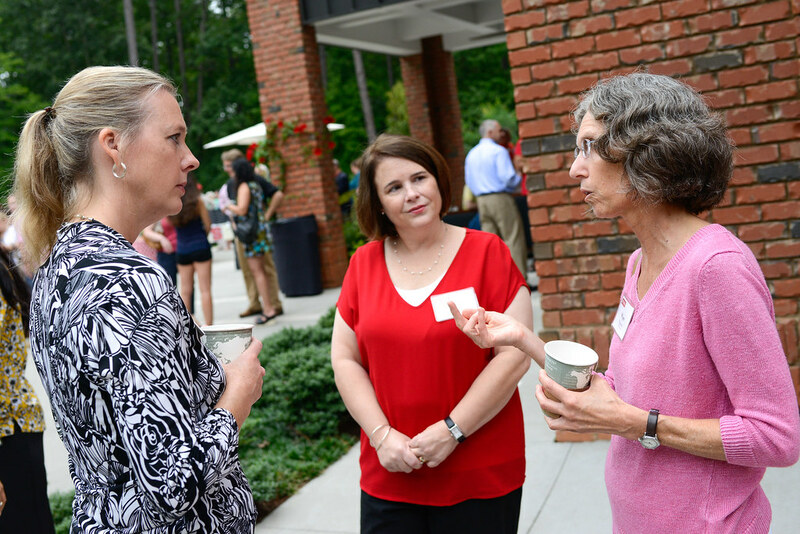 The breakfast also provided an opportunity for Holmquist to talk to other NC State parents about the importance of philanthropy at the university. 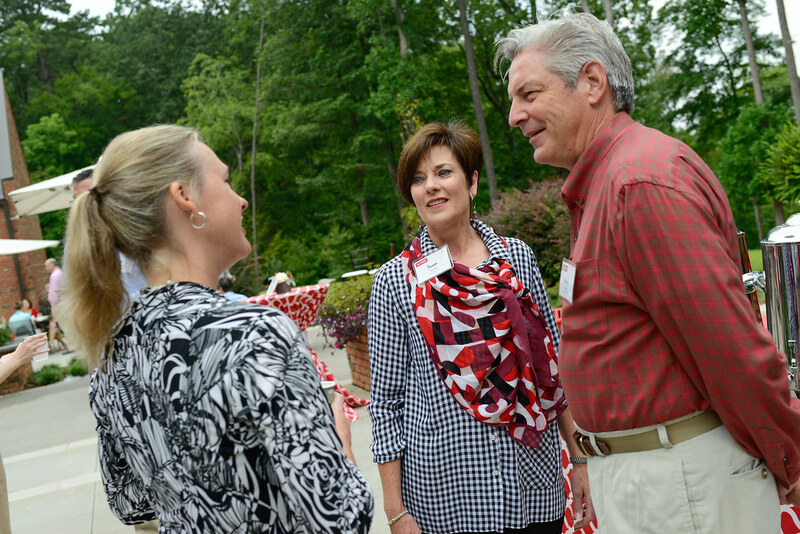 Donations to the Parents Fund, for example, support a number of initiatives across campus. 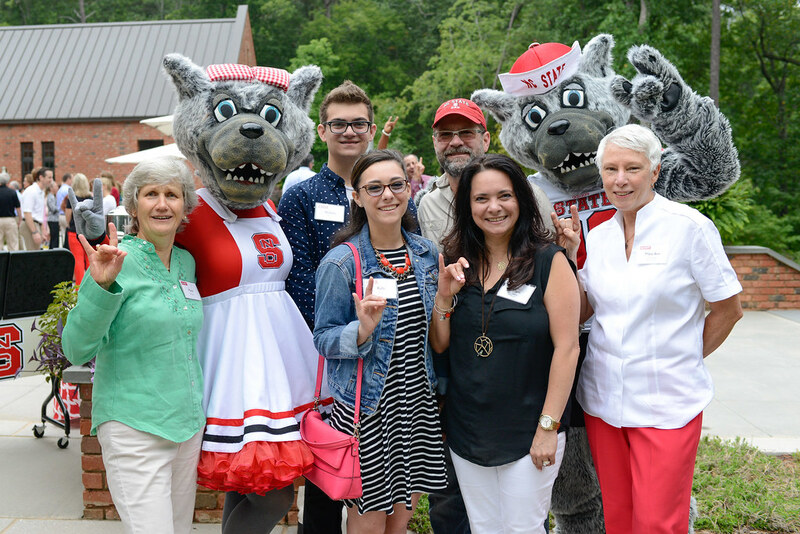 These include the University Scholars and Honors Programs, study abroad scholarships, Alternative Service Breaks, the NC State Counseling Center, the University Tutorial Center and a host of other student-centered programs that have a direct impact on the student experience. 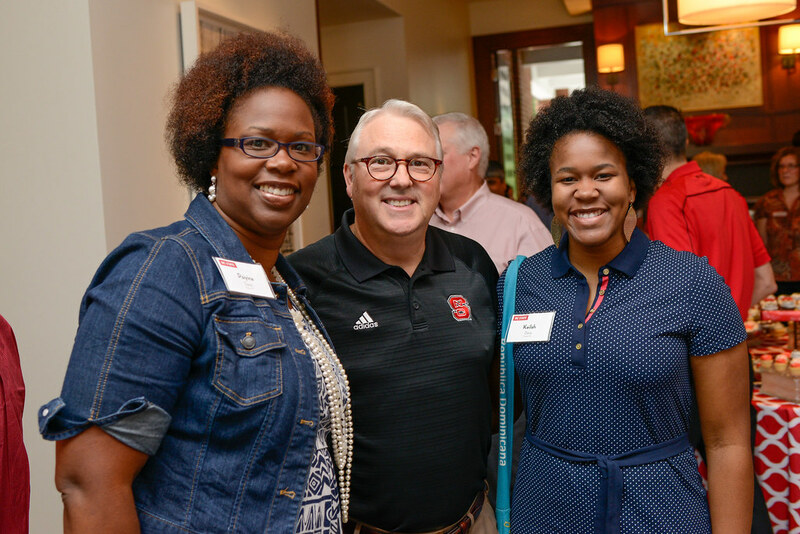 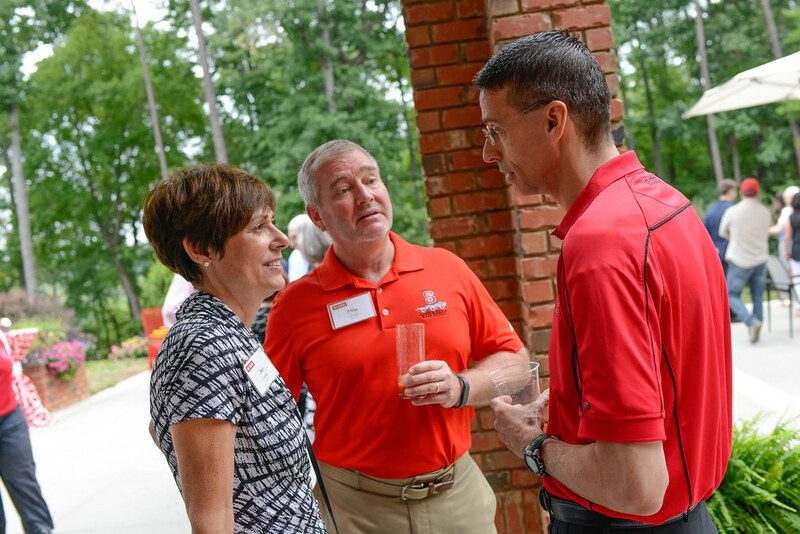 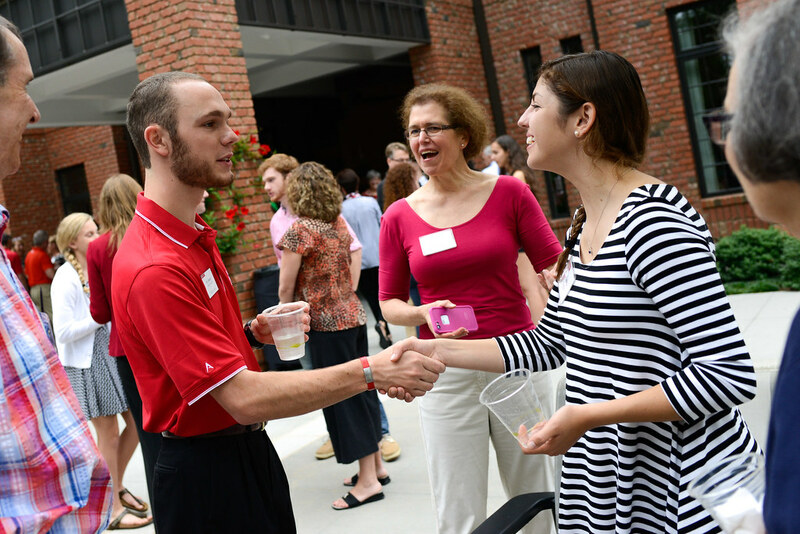 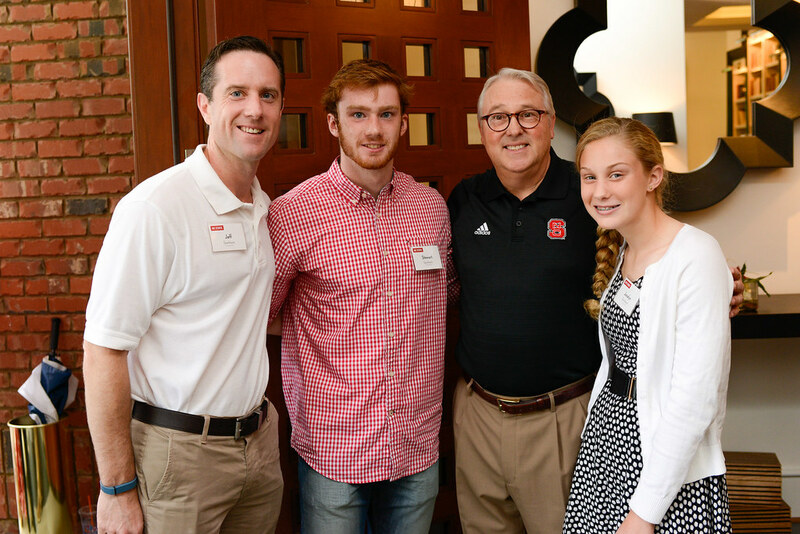 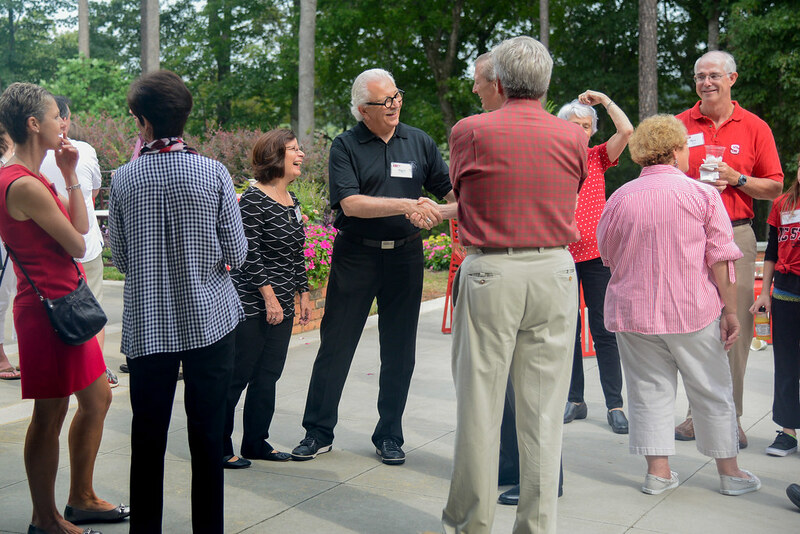 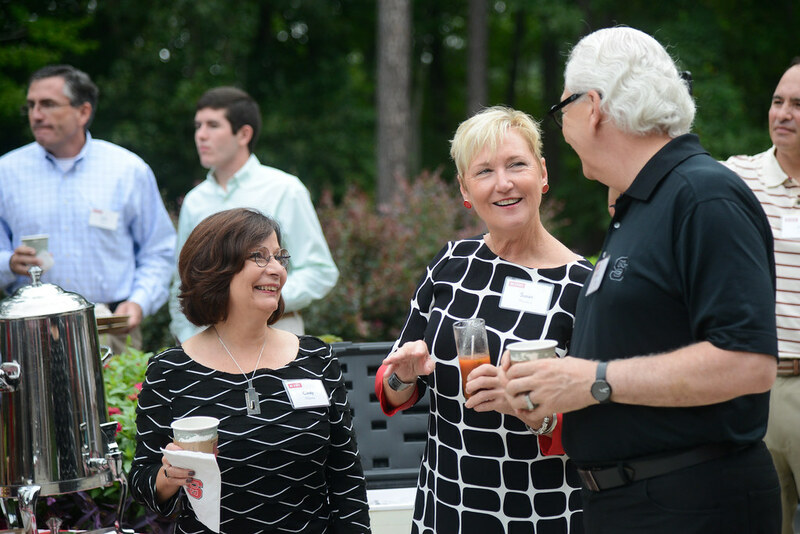 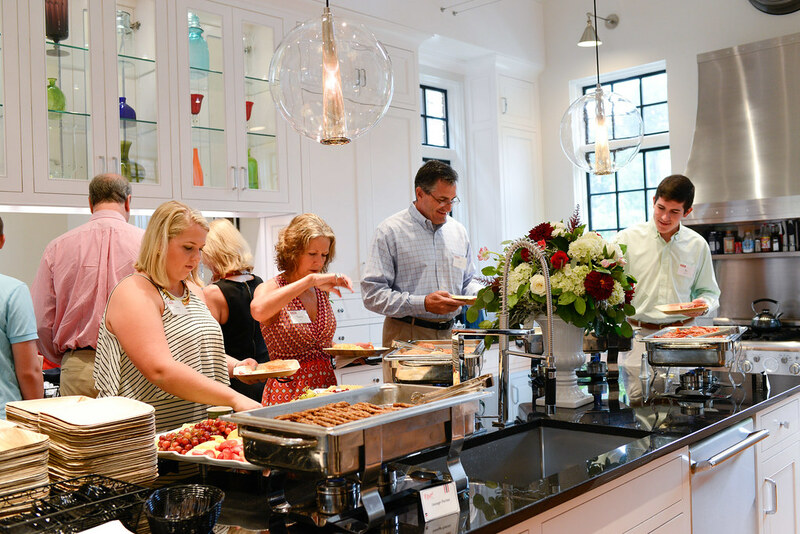 Parents, alumni and friends are taking note of the impact of their support on NC State. 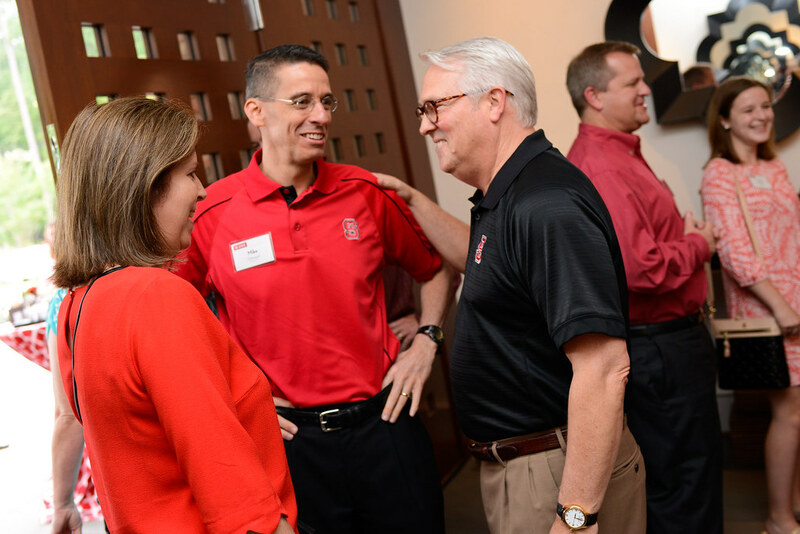 Private giving to the university rose to record-breaking levels during the fiscal year that ended on June 30. 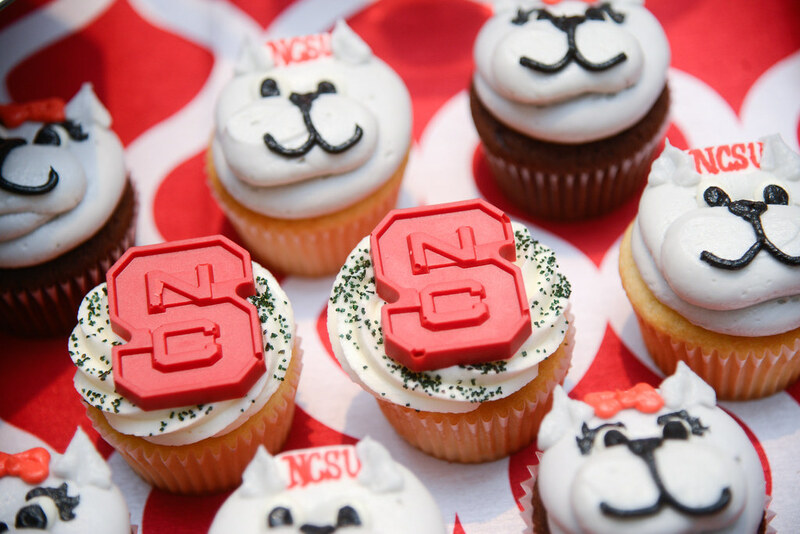 NC State ranks among the nation’s best values in higher education, according to the Princeton Review and U.S. News & World Report. 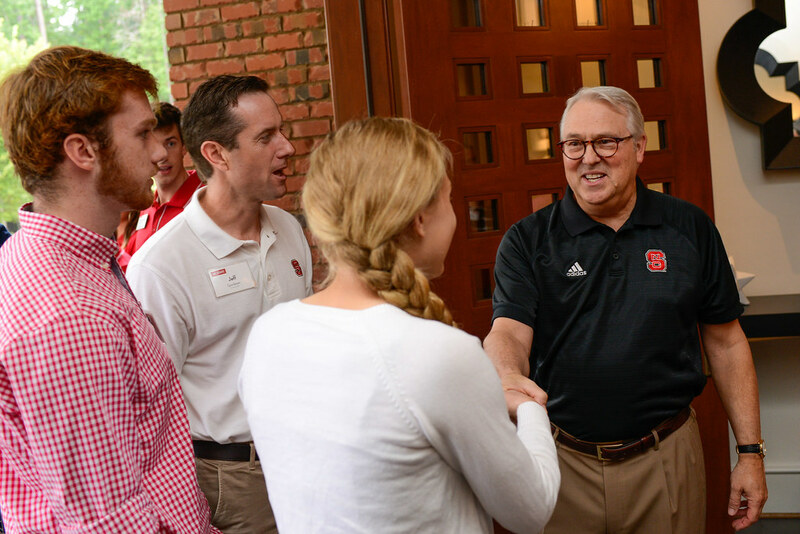 Chancellor Woodson said private support helps keep NC State accessible for students, and noted the significant private investment that created the prestigious Park Scholarships and Goodnight Scholars programs. 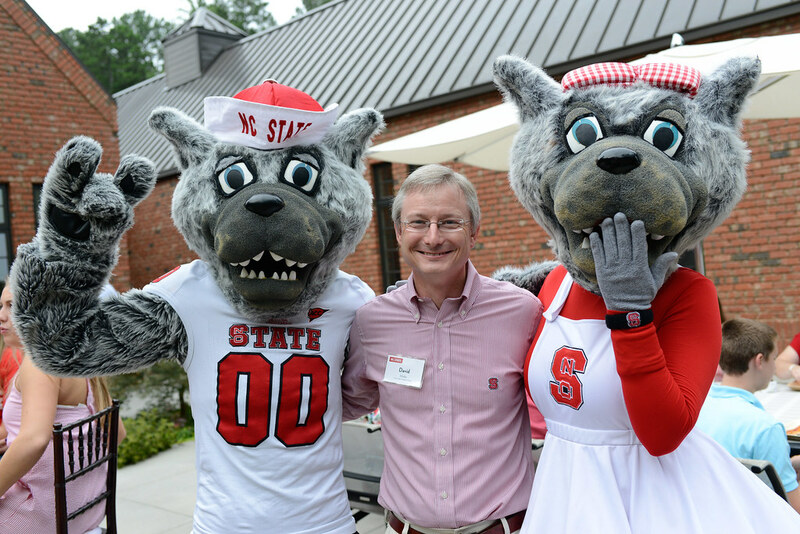 Private funds also helped support the construction of the state-of-the-art James B. 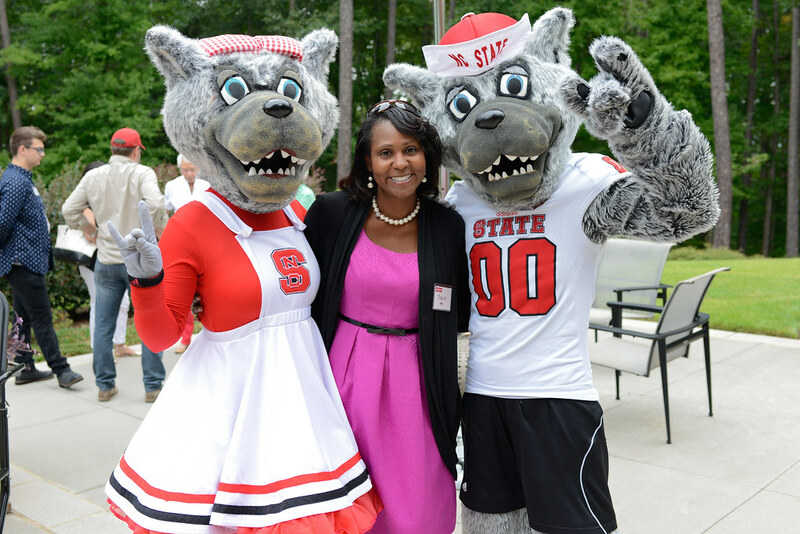 Hunt Jr. Library, located on the university’s Centennial Campus.